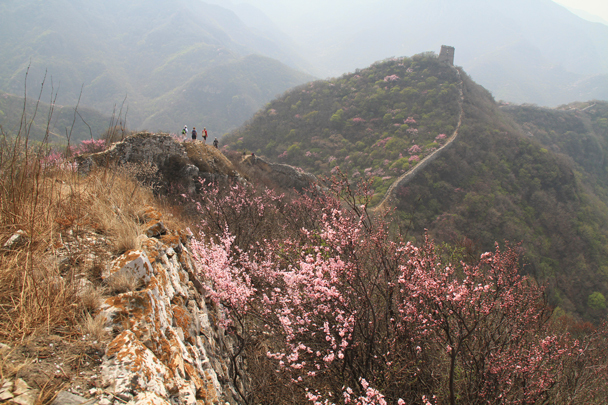 In Brief: Photos from our hike along the Switchback Great Wall, in spring! 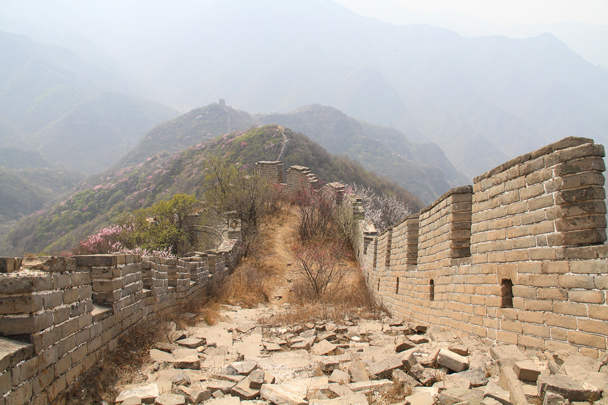 In April we headed out to Yanqing District to hike a wild stretch of unrestored Great Wall that we call the Switchback Great Wall. 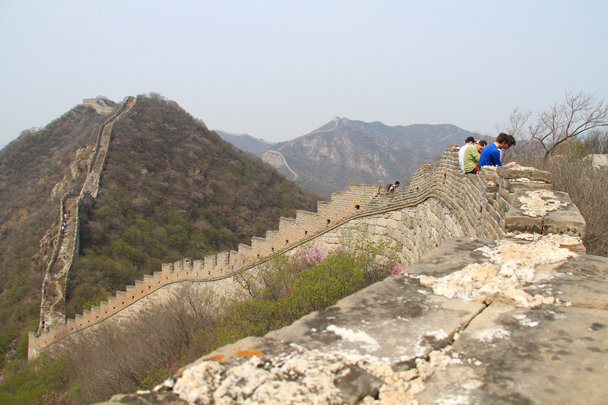 We changed it up a little by doing the hike in reverse, and it worked out to be a good choice. 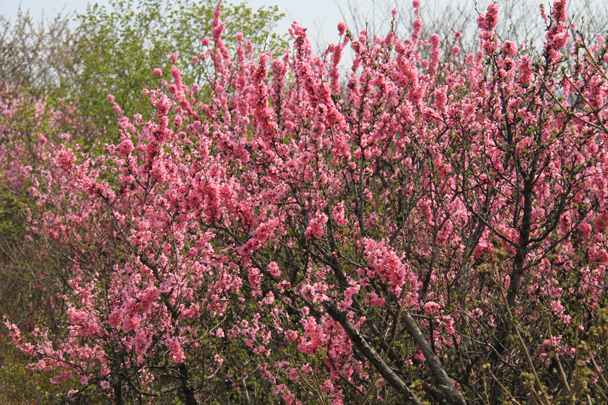 With blue skies and the flowers blooming it was beautiful out there, and we got some good photos – see below! 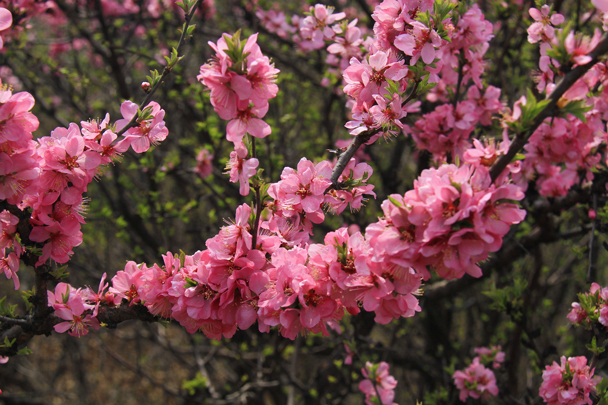 Wild flowers blooming in the early spring. 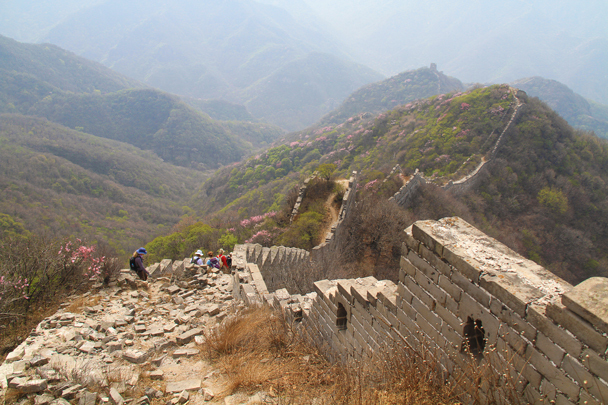 Good exercise with steep ascents and descents. 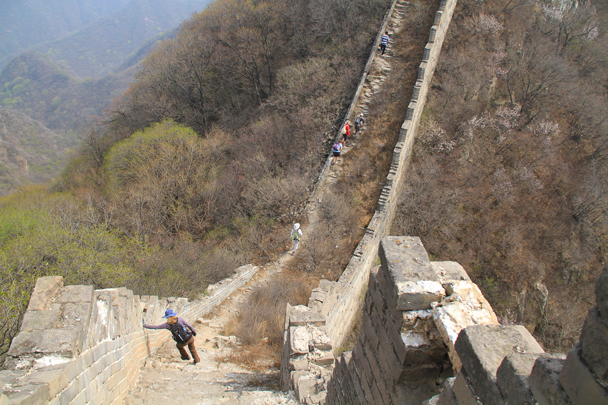 A narrow section of the Great Wall, built on the cliff. 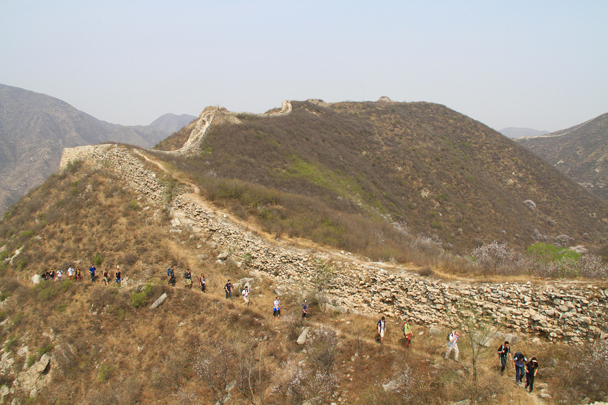 The Great Wall followed the ridgeline down into a valley. 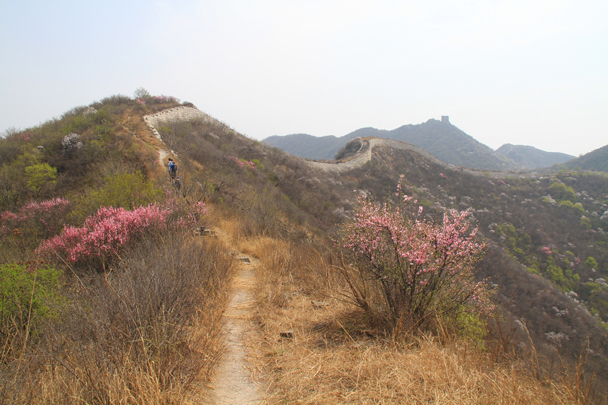 The views on this hike were excellent: Great Wall and pink wildflowers. We were heading for the tower in the background. We think these are azaleas! 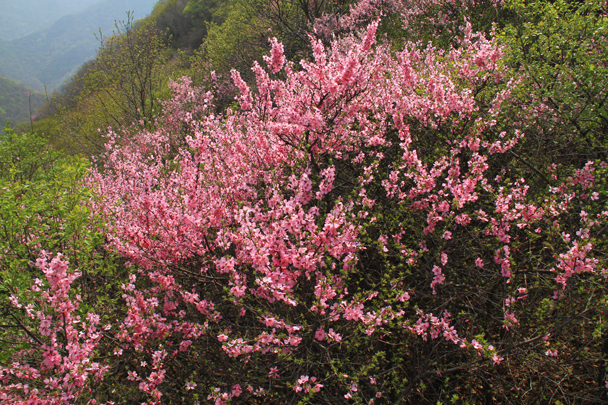 We timed this hike just right for the flowers. 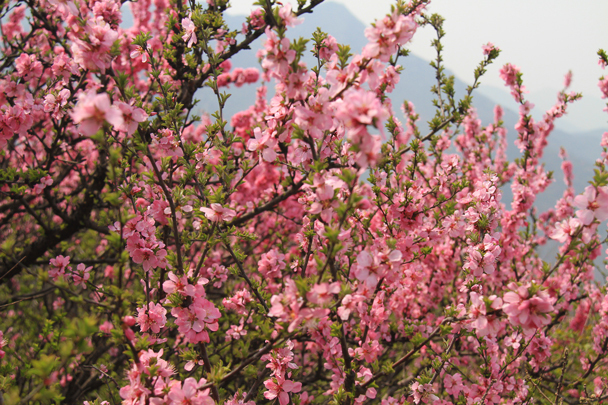 For most of the hike we could smell the fragrance of this kind of flower. 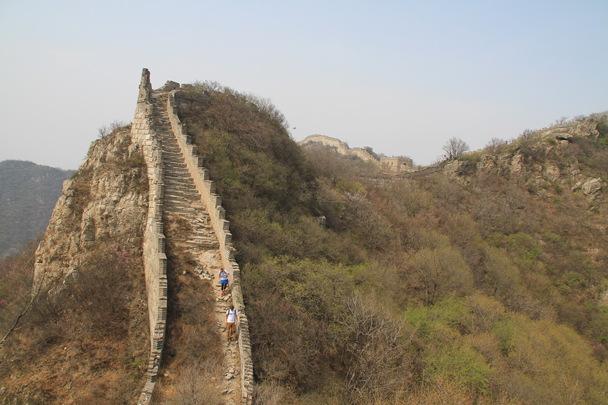 In Brief: We had perfect weather for this two-day camping trip on the Great Wall—see 26 photos from the campsite and Great Wall.